The cottages featured here are newly available from that expert in self-catering holiday, "Hoseasons". There are cottages available in Norfolk, Somerset, Lincolnshire, Suffolk, Durham, Staffordshire, Derbyshire, Northumberland, Gwynedd, Clwyd and Denbighshire. Look below to see the full list of the latest cottages from Hoseasons; I have two cottages to bring to your attention: "Portland House" and "Thatched Cottage". The first holiday cottage is Portland House in Norwich. 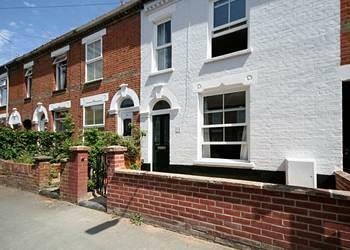 A Victorian terraced house in the "Golden Triangle" area of the city, Portland House sleeps 6 people and is within walking distance of the city centre. 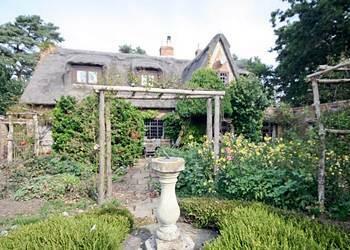 Also in Norfolk, we have Thatched Cottage in Witton, near North Walsham. Thatched Cottage, as the named suggests, is a thatched cottage, and can be found near the North Norfolk Coast. Thatched Cottage sleeps 8 people.